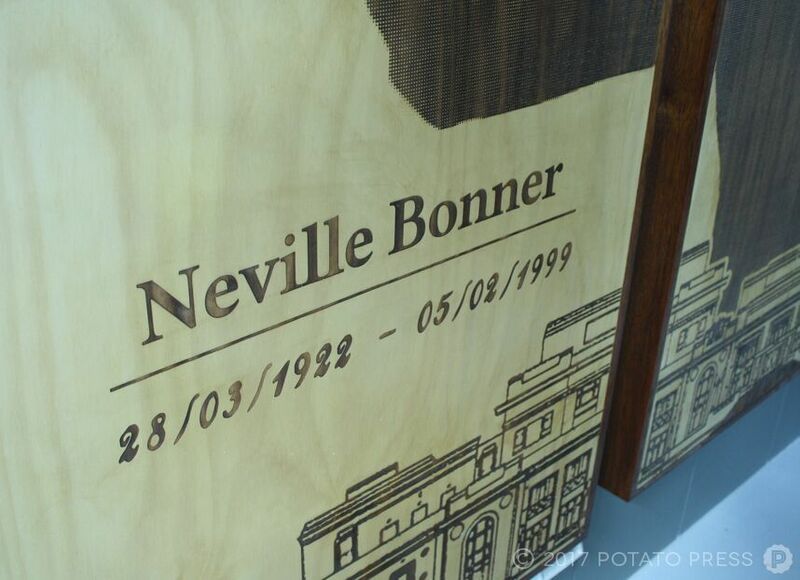 One of our favourite local corporate artwork projects to date, we were recently contacted to design a custom art piece in honour of the late Australian politician, Neville Bonner. 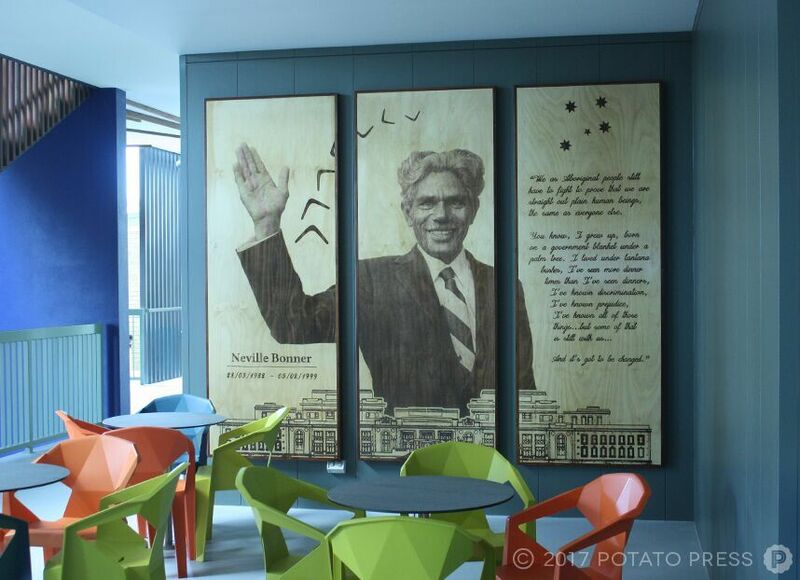 The first Aboriginal person to become a member of the Federal Parliament, Bonner was a Senator in Queensland from 1971 to 1983 before passing away at the age of 77 in 1999. 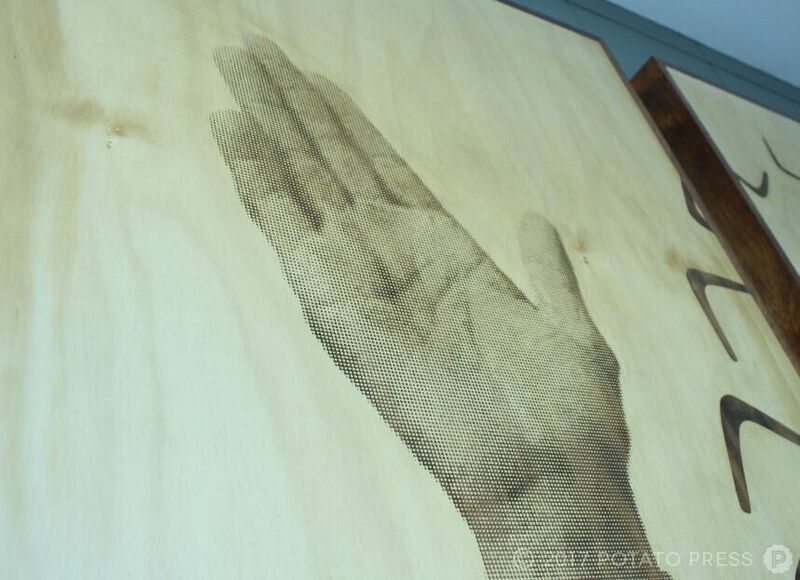 Native to the Indo-Pacific region, a custom Kwila frame was used for the three separate artistic pieces. 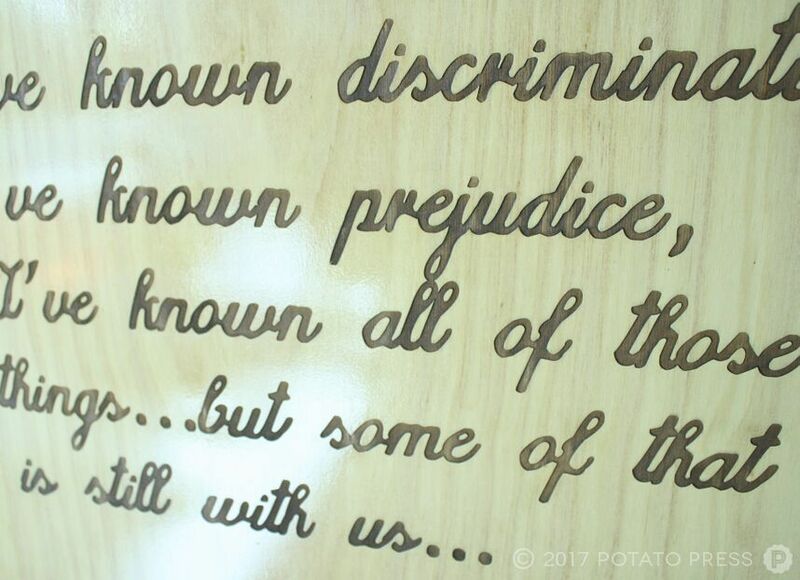 In addition, A grade marine plywood was used for the interior, where our team members utilised custom laser etching artwork elements to complete the Neville Bonner portrait, as well as corresponding quote, boomerangs, and city landscape. We are thrilled to participate in a project that pays tribute to our local Queensland legends, and are proud of the stunning design work completed by our Australia-based team members. We hope our fellow Aussies will admire this piece for years to come! For your next customised corporate artwork need, be sure to get in touch with our team for questions and further information. We look forward to assisting you soon.